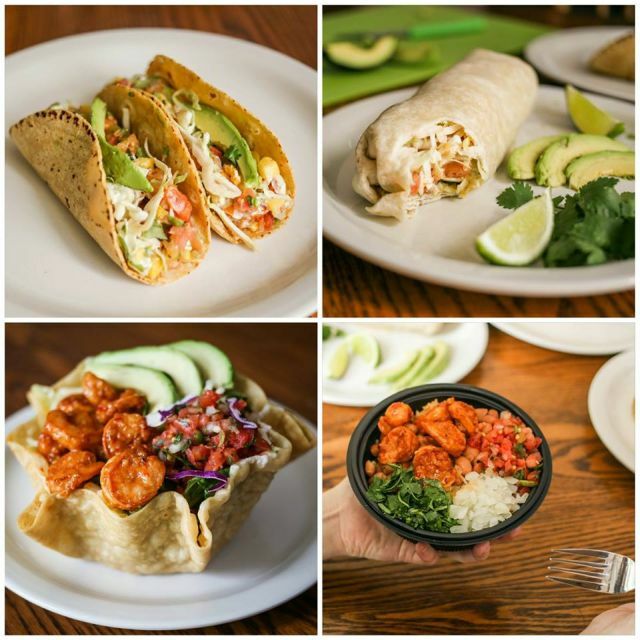 El Pollo Loco offers new Chili Lime Shrimp as their seafood dish of choice heading into Lent season and is featuring the shrimp in four new menu items. - Chile Lime Shrimp Bowl - Chile Lime Shrimp, jack cheese, onions, pico de gallo, lime, and cilantro atop a bed of pinto beans and rice. - Chile Lime Shrimp Tacos - Two tacos filled with Chile Lime Shrimp, avocado, mango salsa, cabbage, creamy cilantro dressing, and lime. - Chile Lime Shrimp Burrito - Chile Lime Shrimp, avocado, pinto beans, creamy cilantro dressing, cabbage, pico de gallo, and cilantro wrapped in a flour tortilla. - Chile Lime Shrimp Tostada - Chile Lime Shrimp, avocado, pinto beans, rice, jack cheese, pico de gallo, and lime on top of lettuce in a tostada shell with creamy cilantro dressing on the side. You can find the new line up at El Pollo Loco for a limited time. Photos via El Pollo Loco.